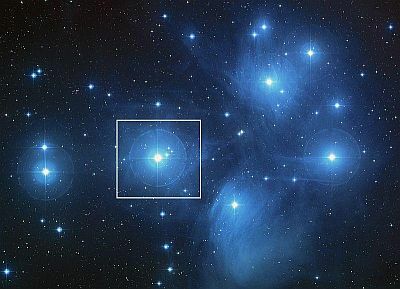 "Blue giant star" is simply a name given to any stellar object that is categorized as belonging to luminosity class III. The luminosity of a star is a measure of its energy output, manifesting as brightness. Paradoxically, size is not a factor. These stars can be anything from five to 10 times the size of our Sun. Compare that with red giants, which can be 100 times larger. As they are usually very short lived, they are extremely rare in the Universe. Although this category can include many different types of star at differing stages of development, to qualify for blue giant status they must have surface temperatures of 10,000 degrees Kelvin or higher and spectral class O or B. Let's see now what types of stellar object could possibly qualify as a blue giant star. Blue horizontal branch stars are found at the far left of the horizontal branch on the Hertzsprung-Russell diagram, a sort of graph depicting the lifetimes and evolution of stellar objects. Typically, they have exhausted their hydrogen supply and have started to burn the helium that remains. In effect, they are a brief phase within a star's life as a red giant. Their internal mechanism causes the increase in temperature and a tendency towards blueness. Once all the helium is used up, the star cools, returning to the red phase. Extreme horizontal branch star is the name given to the hottest blue giants found on the horizontal branch. Typically, they will have temperatures of around 25,000 degrees Kelvin. At the end of their helium burning phase, they will have lost most of their outer envelope, revealing the blue core. EHB stars are thought to be responsible for the faint ultraviolet glow displayed by certain galaxies.